English pacer Stuart Broad has finally revealed the plans that their team will deploy against Indian skipper Virat Kohli in the five-match Test series, the first of which will be played at Edgbaston, Birmingham. The 32-year-old, who has 417 wickets in 118 Tests for England, seems pretty confident to take on the strongest side in the World in the longest format of the game. He feels that their team has finally found out the necessary game plan to tackle the Indian unit, especially against the likes of the opposition skipper Virat Kohli. "I really don't agree with the theory that one particular bowler can target a world-class batsman," Broad was quoted saying as per the ICC website. "You have to have that pressure and theatre at both ends against that sort of quality. That's when you make mistakes. If he's able to really watch Jimmy (Anderson) and play carefully but scores off me, you're taking away any advantage as a team," said Broad. The English pacer further added: "As a bowling unit, we will just have to make it as hard for all of their batsmen to score early runs, but particularly a key player like Virat. We have to try and create pressure that way." 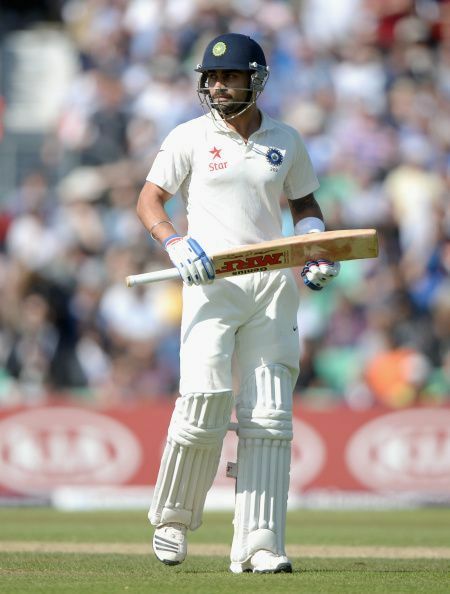 Kohli, who averages a mammoth 53.41 in 66 Tests, with 21 centuries and 16 fifties, had a poor run with the bat during India's tour of England in 2014. The Indian skipper could amass only 134 runs in 10 innings, at an average of 13.4, which is astonishingly low for a player of his stature. The 29-year-old might have gone fromstrength to strength since that unforgettable tour of England, but conquering the English soil is something he hasn't ticked off yet on his bucket list. Any chance of rotation from the Englishmen? Stuart Broad, who has recently recovered from an ankle injury, feels that he is completely fit to take on the attack against the Indian team. "I am going in 100 percent fit and you can't say that too often. It's an exciting place to be," said the English pacer. With India's tour of England being a five-match Test series, there could be a chance for any seamer's injury to crop up owing to reasons either on or off the field. 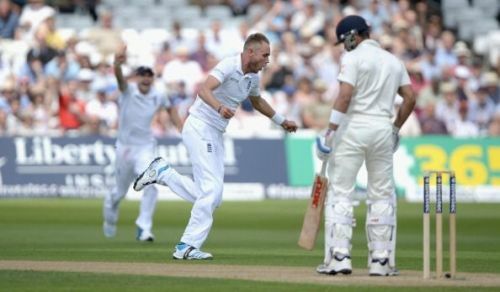 As a result, Broad expects that a rotation policy amongst the English seamers looks possible on the cards. "There have already been small conversations about you shouldn't be disheartened if you are left out for a Test match. It's not a personal attack or dropping." "It's a management of your bowlers to make sure we give ourselves the best chance," said the England fast bowler.